Reid, a Baton Rouge, product, led LSU to a series victory last weekend over second-ranked Mississippi State in Starkville, batting .750 (6-for-8) with one double, six RBI and four runs scored. He also walked three times and was hit by a pitch, recording a .769 on-base percentage in three games. In LSU’s 10-5 win on Friday night, Reid paced the Tigers’ 13-hit attack by going 3-for-4 at the plate with three RBI and three runs scored. 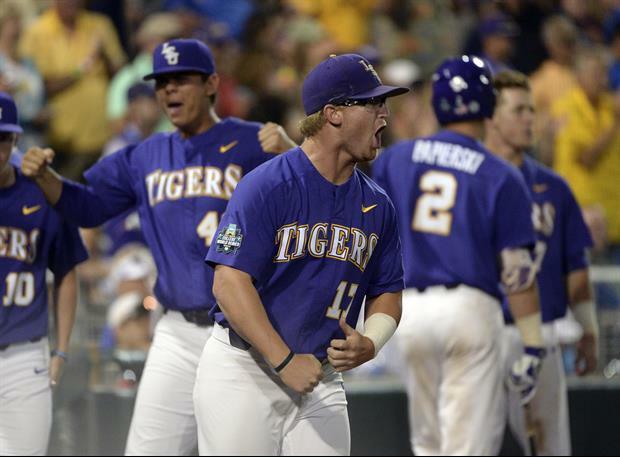 In the Tigers’ 11-2, series-clinching win over Saturday, Reid provided two RBI with a double and a sacrifice fly, and he scored two runs. He was also 2-for-2 with an RBI in Thursday’s opening game of the series. Working on moving up the draft ladder! Best of luck to Mr Chris "Clutch" Reid! He is having a good year. Glad things worked out that he could play his senior year. I’m really excited for Chris. Great player, I’m glad he is experiencing such great success.